Offering an outdoor pool and a restaurant, Panakron is located among lush greenery in Asomatoi Village. Free WiFi access is available in public areas. 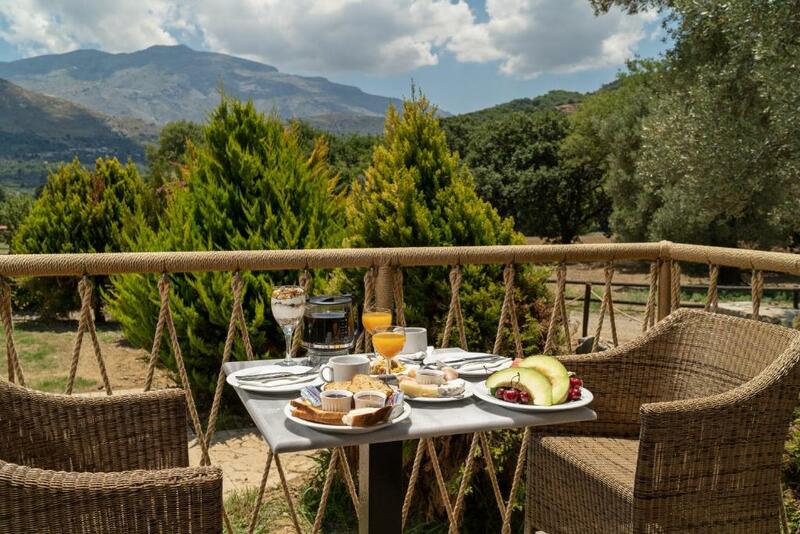 Offering views of the surrounding mountains, the accommodations will provide you with a flat-screen TV and air conditioning.There is a full a kitchenette with a refrigerator and kitchenware. Featuring a bath, private bathroom also comes with a hairdryer and free toiletries. An array of activities can be enjoyed on site or in the surroundings. 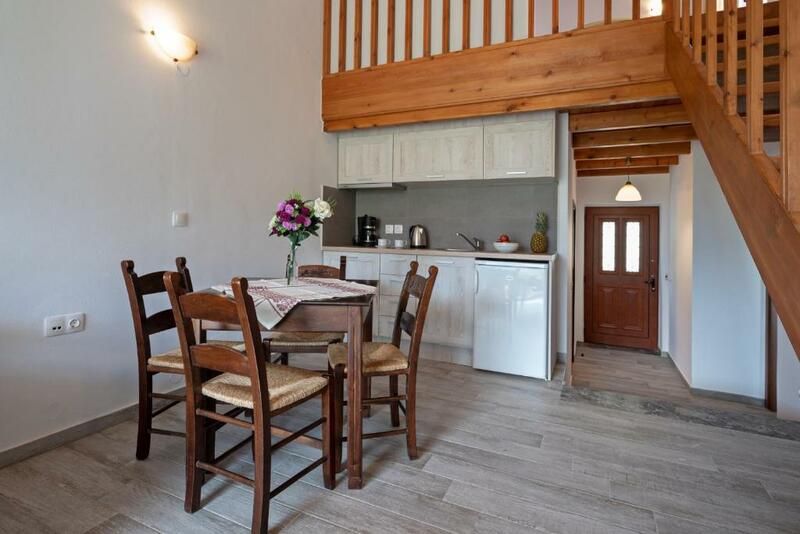 This farm stay is 30 mi from Heraklion International Airport. Free parking is possible on site. When would you like to stay at Ktima Panakron? This villa features a balcony, private entrance and hot tub. This villa has a balcony, executive lounge access and spa bath. 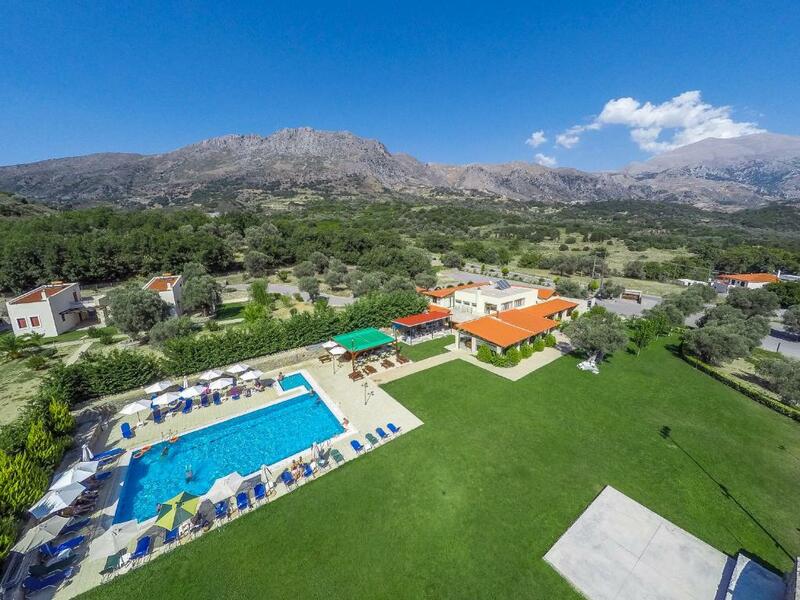 In Crete,at the green valley of Amari, just 30 km from the town of Rethymno, lies a unique agrotourism unit, "PANAKRON ESTATE", which covers an area of ​​53 acres.Visitors can spend pleasantly and creatively their free time, choosing a number of interesting activities on offer, playground, swimming pool, game park, natural history museum, raki and patitiri. 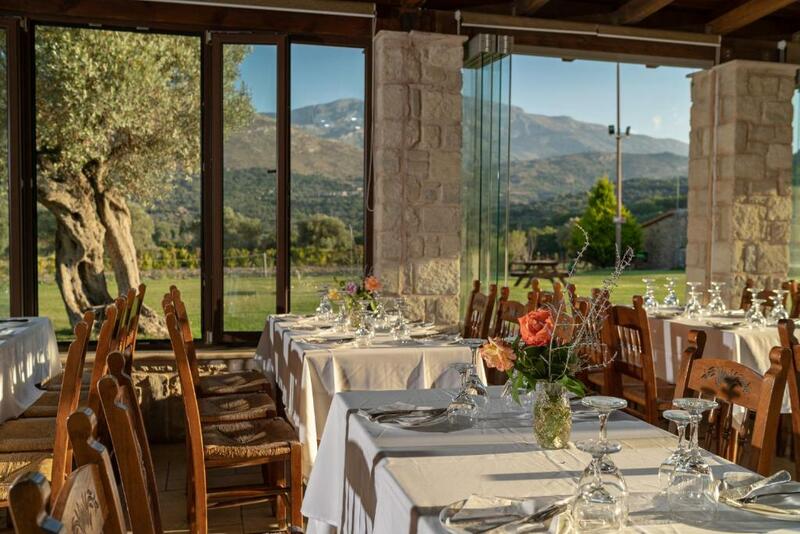 There is also a traditional taverna certified by "Cretan Cuisine" with oven and Parasies for baking food. All our dishes are cooked in the wood and in olive oil. 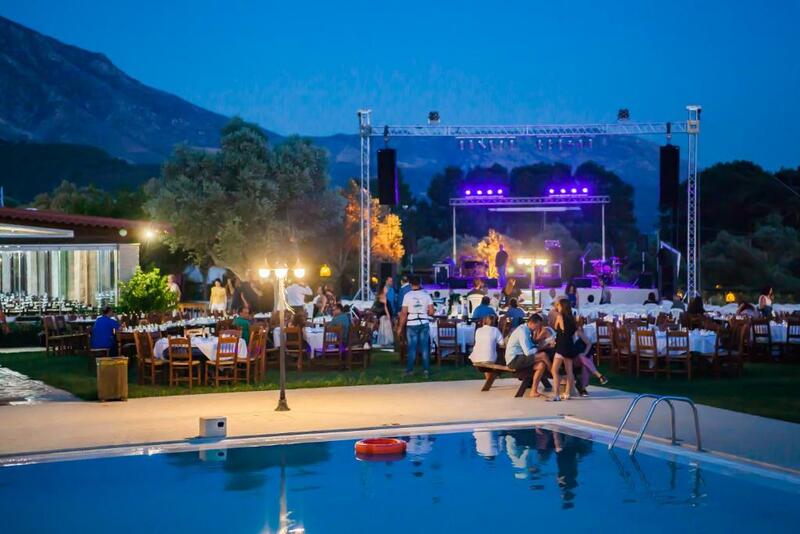 The complex of villas of 'PANAKRON "is built in the northeast part of the estate, overlooking the mountains Psiloritis, Samitos and Kentros. Located in a close distance from the pool, the restaurant and the parking area and consists of five independent villas that can accommodate 2-6 people each of them. The villas combine the traditional architecture with modern materials and comforts to ensure visitors a pleasant stay. The earthy colors, the wooden roof and furniture and the stone-built sofas exhale a sense of warmth and tranquility. The Amari valley is formed between the Cedar Mountains and Psiloritis, at 400-500m altitude and has 25km length. It is the natural passage from north to south Rethymno and Messara. For this central location, there was a theater of historical events, especially during the Ottoman rule. 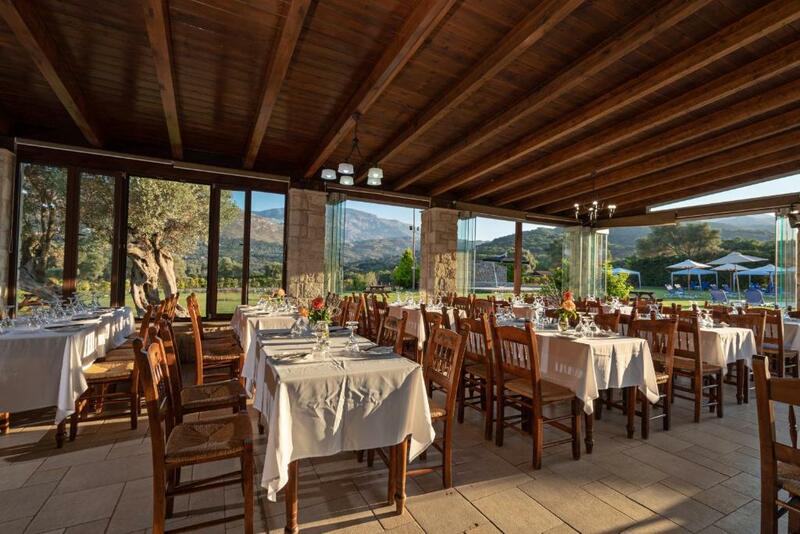 Amari is one of the areas of Crete with the highest rainfall. Therefore from here stems Platis river which flows in Agia Galini, but here is one of the largest dams in Crete, the Dam of the Rivers. In the fertile valley of Amari are many rare species of Cretan flora such as the natural "Botanical Garden" Sons of Campos, north of Mount Kedros.The valley is embellished with beautiful villages, the largest being the Fourfouras. Old Byzantine churches, Minoan settlements and rugged mountains rise around a beautiful feeling to anyone who visits this place. The canyon of Patsos, the cave of St. Anthony, the ancient Sivrytos, the monastery of Asomati, the Minoan settlement of Monastiraki and Apodoulou are the most famous sights of Amari. House Rules Ktima Panakron takes special requests – add in the next step! Ktima Panakron accepts these cards and reserves the right to temporarily hold an amount prior to arrival. Please inform Ktima Panakron of your expected arrival time in advance. You can use the Special Requests box when booking, or contact the property directly using the contact details in your confirmation. We need at least 5 reviews before we can calculate a review score. If you book and review your stay, you can help Ktima Panakron meet this goal. Wow! This place has everything you need! Its actually a splendid farm in the mountains with super nice people who tried their best to make us comfortable and satisfied. The breakfast is delicious, the rooms are tidy, beautiful and spacious. The atmosphere is very authentic and calm. The communication with Katerina and the young lady at the bar made us feel like home. Thank you for a great vacation!